Was your soil once vibrant and productive? Has it lost its pizzaz? SoilMend can bring back your unproductive soil! Plants can suffer from poor soil conditions. Even soil with good soil structure can become listless and unproductive. SoilMend works to restore vitality to plants in soil that has become unproductive. SoilMend is designed to help improve multiple soil problems and help bring back the umph! to your plants. SoilMend includes organic carbon that can hold nutrients that some soils cannot. This increases the availability of nutrients to the plant when the plant needs them. The biological activity helps improve and maintain healthy soil structure to achieve natural aeration. When it is more open it can breath more easily and improve water and nutrient delivery into the soil. When excess nitrogen has been applied to a soil it can cause nitrate toxicity. This can impede essential biological activity in the soil and if the toxicity becomes high enough it can destroy biological activity. This can result in poor plant growth or no plant growth. 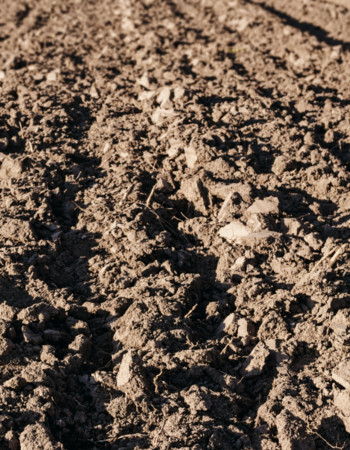 Sandy soils and silt soils usually drain well but they typically cannot store nutrients well. Even when fertilizing less than normal on these types of soils can result in the nutrients being washed out of the soil into the ground water. The poor growth that results can lead us to over fertilize and make the problem worse. By increasing the carbon in the soil it can then store more nutrients. Fewer nutrients are washed into the ground water and end up downstream. SoilMend contains organic carbon that can store nutrients in the soil. As the nutrient storing capacity of the soil increases it can store more fertilizer that becomes available to your plants. When it is properly stored in the soil less fertilizer is washed into the ground water or volatilized into the air. Improper soil management can diminish the capacity of the soil. SoilMend works to transform the soil back to its naturally productive state. It also helps improve the nutrient cycles in soil. This makes nutrients available to your plants when they need them for a longer period of time and results in healthier more productive growth. Poor soil management can put soil pH out of balance. SoilMend improves the environment of the soil so that it can sustain more microbial activity. Microbial activity naturally moves soils toward a neutral pH regardless of which direction the soil is out of balance. The more of this organic microbial activity that occurs, the more the soil moves to a neutral pH. SoilMend 32 oz. Covers up to 10890 Sq. Ft.
Start restoring your poor performing soil today! SoilMend™ naturally works to restore life to soils that have been exhausted from a variety of causes. It encourages biological activity that works to process excess fertilizers that may impede soil performance, reduce salt that may be accumulated from irrigation water and improve soil pH and nutrient storage. The end result… restored soil performance for healthier more abundant plant growth! The 32 ounce bottle will cover an average 10890 sq. ft. lawn or garden. Give it a try today. SoilMend 1 gal (128 oz.) Covers up to 43560 Sq. Ft. The gallon bottle will cover an average 43560 sq. ft. lawn or garden. Give it a try today. SoilMend 16 oz. Covers up to 5445 Sq. Ft. The 16 ounce bottle will cover an average 5445 sq. ft. lawn or garden. Give it a try today. SoilMend 8 oz. Covers up to 2723 Sq. Ft. The 8 ounce bottle will cover an average 2723 sq. ft. lawn or garden. Give it a try today. SoilMend is a liquid solution that helps improve soils that have become anemic or naturally have a poor ability for healthy plant growth. It helps improve the environment of soils and encourages biological activity in the soil to help improve soil conditions. This activity includes the breakdown of old organic matter, the creation of humus and the production of beneficial organic acids. SoilMend infuses the soil with nutrient holding organic carbon. By improving the ability of the soil to hold nutrients, we decrease our dependence on chemical fertilizers and in turn reduce the possibility of polluting our ground water. SoilMend helps reduce nitrate toxicity and other soil imbalances that impedes beneficial biological activity. The biological activity encouraged by SoilMend helps reduce the build-up of chemical fertilizer salts and the reductions of nitrates and other fertilizers into ground water through leaching. By utilizing the improved storage capacity of the soil, less fertilizer is needed and an improved balance of nutrients become available to plants resulting in healthier overall growth. Increasing biological activity assists in keeping the soil aerated which helps reduce the instances of water build-up where harmful fungus might otherwise thrive. How often should SoilMend be applied? If you have good soil that has become unproductive a single application should bring productivity of your soil back. An additional application or two during the growing season can be beneficial. We recommend an application once a year to maintain the healthy state of the soil.